This is, hands down, my very favorite recipe for zucchini cake (with cream cheese frosting). Moist, dense and delicious. It tastes great warm, but even better icy cold from the fridge. Yum. You can get the recipe and directions here on my website. This recipe is from a friend of mine and it’s perfect for zucchini. You need: 1 Tablespoon curry paste, 1 Tablespoon sugar, 1/2 teaspoon chopped fresh basil, 1 tablespoon soy sauce, 1 tablespoon oyster sauce, 1/2 cup peanut butter, 1 can coconut milk. Bring all of this to a boil and add 2-4 cooked, boneless, skinless chicken breasts cubed, and veggies of your choice (my favorite for this dish are zucchini, peas, onions, water chestnuts and spinach). Simmer until vegetables are done. Serve over rice. Personally, I think this is a fantastic idea…grouping Amish Friendship Bread with zucchini. First, I have to admit, I usually dread it when someone passes off the friendship bread starter on me. Not that I don’t love it! Loving it is the PROBLEM! It whips me into a baking frenzy, keeps on giving. Without end. 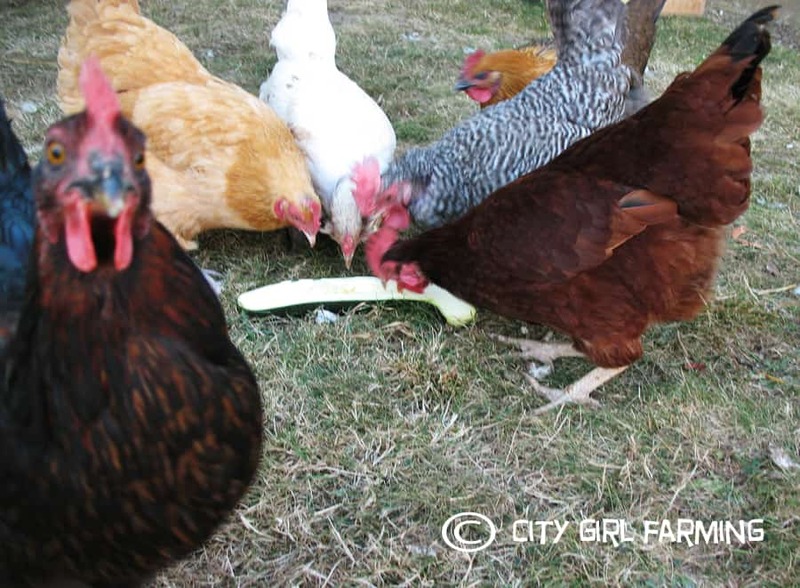 I know some of you feel that way about your zucchini plants too (will it ever end?) which leads me to believe this pairing of friendship bread starter and zucchini is genius! You can find the recipe here. Cut it into sticks or slices and eat it raw. Dip it in hummus. Throw a handful in your tossed salad. Munch on it whole with a sprinkling of salt. 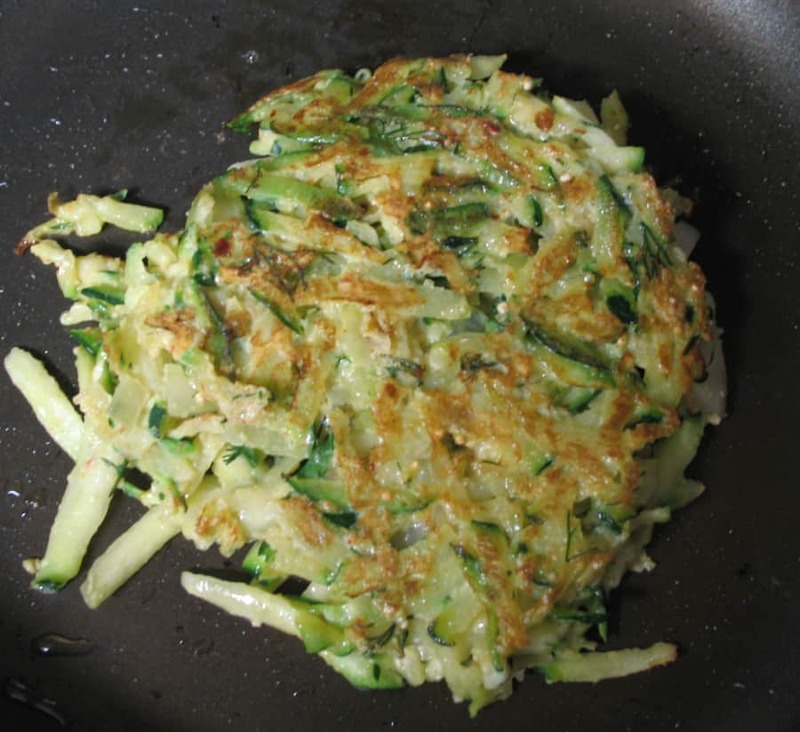 Instead of potato latkas, try zucchini latkas with a twist. These spicy zucchini latkas are my personal addiction this summer. I love them, crave them, and make them several time a week. Although the recipe I use isn’t substituted exactly, I’m sure it would work for your own tried and true latka recipe. If you’d like my recipe, you can get it here. I recently posted my favorite meatless burger recipe (see it here, if you missed it) and one of the must have ingredients for me when making them is shredded zucchini. Shred it, measure it and freeze it in freezer safe containers to use in the middle of the winter when you’re longing for some of the over abundance of your garden. Then when someone gives you that Amish Friendship Bread Starter, you’ll know exactly what to do! Doesn’t everything taste better with chocolate? Here’s a recipe my mom used to make when I was younger. It’s a step up (in my humble opinion) from regular zucchini bread because of the addition of chocolate. I mean, how can you go wrong? You’ll need: 3 eggs, 1 cup oil, 2 cups sugar, 1 teaspoon vanilla, 2 cups grated zucchini, 3 cups flour, 1 teaspoon salt, 1 teaspoon soda, 1/4 teaspoon baking powder, 1/2 cup chopped walnuts, 1 teaspoon cinnamon, 1 square chocolate (melted). Mix together all the wet ingredients. Add dry ingredients. Stir in melted chocolate. Grease two 9 inch loaf pans. Pour half of mixture into each pan. Bake at 350 for 1 hour. 14 cups sliced zucchini, 1/2 cup pickling or canning salt, 6 cups white vinegar, 4 cups sugar, 4 teaspoons mustard seeds, 2 teaspoons celery seeds, 2 teaspoons ground turmeric. In glass or stainless steel bowl, layer zucchini slices with pickling salt. Add coll water to cover, cover and let stand at room temperature for 2 hours. Drain and rinse with cool running water. In stainless steel saucepan, combine vinegar, sugar, mustard seeds, celery seeds, and turmeric. Bring to boil, stirring to dissolve sugar. Reduce heat and boil gently for 5 minutes, until spices have infused liquid. Stir in zucchini. Remove from heat, cover and let stand for 1 hour. Prepare canner and lids (if you want to know more about how to do this, click here). Return saucepan to med high heat and boil, stirring occassionally. Reduce heat and boil for 5 minutes, until zucchini is heated. Pack zucchini into hot jars leaving 1/2 inch space at top. Ladle hot pickling liquid into jar to cover vegetables. Remove air bubbles. Process in canner using water bath method, boiling for 10 minutes. With the girls. 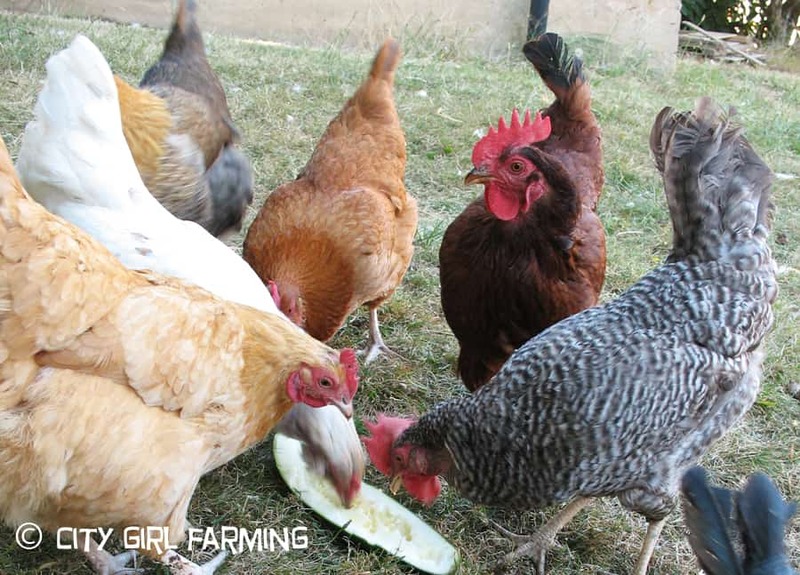 My chickens love zucchini. I throw it in the fridge on hot days and serve it to them cold. It helps cool them off. So, how about you? What’s your favorite ways to use up zucchini? Let us know. We’d love to hear more ideas.